Geneva (AFP) - The world's largest particle smasher broke the record for energy levels late Wednesday in a test run after a two-year upgrade, CERN announced Thursday. "Last night, protons collided in the Large Hadron Collider (LHC) at the record-breaking energy of 13 TeV (teraelectronvolts) for the first time," the European Organisation for Nuclear Research (CERN) said in a statement. The LHC's previous highest energy for collisions was eight TeV, reached in 2012. In April, it started up again after a two-year overhaul designed to pave the way to experiments at 13 TeV. It has the potential to be cranked up to 14 TeV. 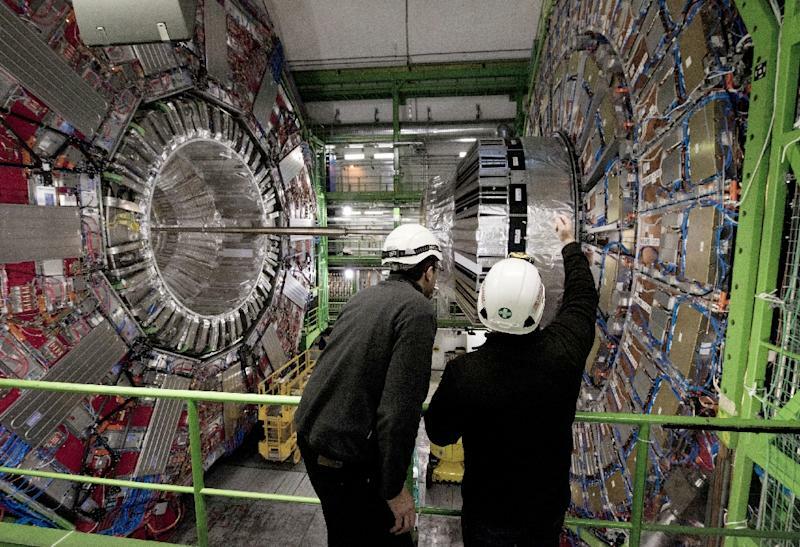 Experiments at the collider are aimed at unlocking clues as to how the universe came into existence by studying fundamental particles, the building blocks of all matter, and the forces that control them. Before the upgrade, the LHC was used to prove the existence of the Higgs Boson, also known as the God particle, which confers mass. That discovery earned the 2013 Nobel physics prize for two of the scientists who had theorised the existence of the Higgs back in 1964. Wednesday's collisions at the giant lab, housed in a 27-kilometre (17-mile) tunnel straddling the French-Swiss border, are part of a recommissioning programme ahead of an even more ambitious roster of experiments, due to start next month. 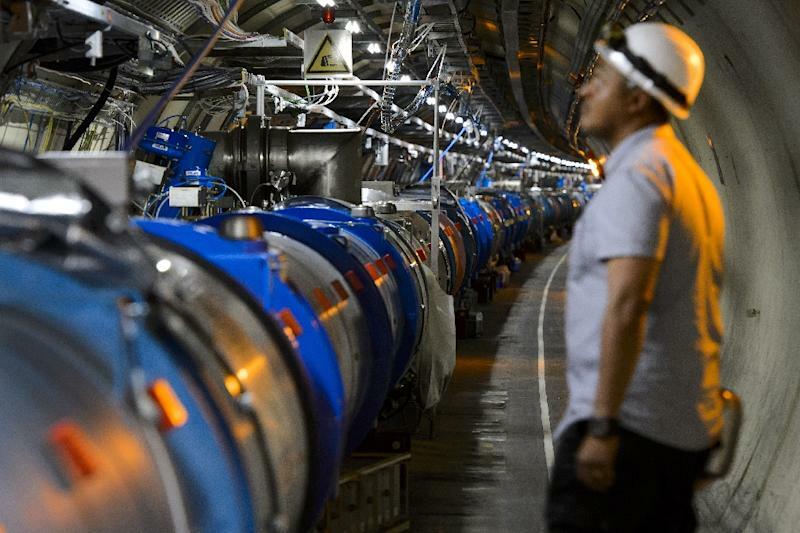 "These test collisions were to set up systems that protect the machine and detectors from particles that stray from the edges of the beam," CERN said. The LHC allows beams containing billions of protons travelling at 99.9 percent the speed of light to shoot through the massive collider in opposite directions. Powerful magnets bend the beams so that they collide at points around the track where four laboratories have batteries of sensors to monitor the smashups. The sub-atomic rubble is then scrutinised for novel particles and the forces that hold them together. One teraelectronvolt is roughly equivalent to the energy of motion of a flying mosquito, CERN says on its website. But within the LHC, the energy is squeezed into an extremely small space -- about a million, million times smaller than a mosquito. It is this intensity which causes the particles to be smashed apart.